With a line up this RADIKAL, who could resist traveling to Deleware to immerse yourself in good tunes, good people, good vibes and good food. Hammock Forest was a frequently traveled location for us. A great way to relax, catch some shade between shows, and just be with the trees. Jack Johnson has always been an inspiration, he has basically created a new musical genre and we are proud he came from our action sports community. Playful, soulful, activating lyrics. We think he is RAD. Ziggy Marley's music brought tears to our eyes. We are both such big fans of his father, and its so refreshing to feel him through his kids music. Soulful, enlightening, heart opening, happy, good vibrations mon! Check out lil Marley backstage watching his dad perform and spread love. Who could expect our good friend Shaun White, (snowboarder) performing with his new band "Bad Things". They blew our mind with authenticity, raw talent, good tunes, crowd engagement and they even had a chick drummer. Its safe to say we fell in love with the passion of rock n' roll again. Yummy organic avocado quinoa bowl with an acai smoothie of love. Compostable is the best we could do, as we can not bring in our own reusables. Nutrients are key to making it through the weekend- or life for that matter! Eggs with heirloom tomato, kale, avocado breakfast sandwiches. 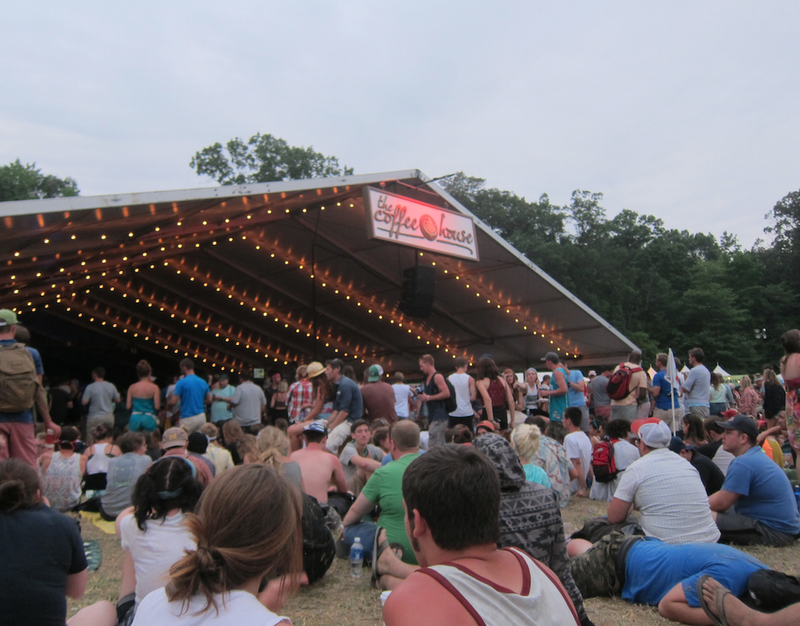 Here are some more photos from the festivities... See you next year Firefly!